If you’ve ever spent even an afternoon with a preschooler, you know they’re ridiculously hard to manage. I mean, let’s face it, they’re all over the place and constantly trying to injure themselves. At least, that’s how I used to see toddlers. That is, until the day I sat down with my own daughter and for the first time really watched an episode of Curious George. I’d had the show on before, lots of times in fact. It was a household fave, but it was really just pleasant background for me. For my daughter, it was magic. On this particular day, I was truly at some sort of emotional limit. I’m a mom who works at home, and trying to juggle work and deadlines and keeping my 3-year-old occupied at the same time was proving to be a futile effort. I was about to throw up my hands, but instead I started to hear the gentle, jazzy jingle for Curious George, and so I sat down among all the toys, shredded bits of paper, dirty laundry and cookie crumbs and let my tiny terror fixate on her favorite show for a while so I could come up with my next move. Then something weird started to happen right when I needed it most — I started to recognize myself in Curious George‘s Man with the Yellow Hat. I recognized in George all the same behaviors that were making me crazy about my daughter all morning. George was constantly distracted, making messes and taking things apart. But instead of being exhausted by it all, the Man with the Yellow Hat, in addition to having a healthy sense of humor and (apparently) all the time in the world, approached George as he really was: a busy little monkey with a yearning to explore the world and learn as much as he could. The Man with the Yellow Hat interacted with George — not his messes, not his mistakes. He focused on satisfying George’s curiosity and explaining the world to him. And that was exactly the example I needed for how to parent my own little explorer. In this particular episode, George observes Jumpy, the squirrel who lives in the tree just outside, storing his food in the ground. George, thinking this is a good idea, buries all the household food to follow Jumpy’s lead. After much confusion, the Man with the Yellow Hat figures out what’s going on. And instead of getting mad about the waste — and mess — the Man with the Yellow Hat, stops and takes the time to explain how their circumstances differ from Jumpy’s. The mess is already made, so why not turn the whole situation into a teachable moment while you’re there? Smart, right? There are lots of other instances of the Man with the Yellow Hat totally owning this parenting thing throughout the show. Like the time George won’t take a bath because he’s lost his bubble-making frog and the one where the monkey completely obliterates an intricate sand painting. These mistakes aren’t met with anger or shame, just patience and a complete willingness to talk about how and where things went wrong. Besides, he knows George is a good little monkey. Just curious is all. My parenting was in need of a bit more of that attitude, and Curious George delivered when I needed it most. There’s even science to back up my own experience. Research on Curious George — the monkey who, according to the producers behind the show, is an “archetypal preschooler” — says he helps teach kids skills to boost their understanding of math, science and engineering. Based on George’s constant curiosity about the world, that’s easy to see. And that’s what George and the Man with the Yellow Hat did for me and, in turn, my own little monkey. Both of these friendly characters reminded me that it’s not the mess or the noise or the inconvenience that really matters — it’s creating an environment that’s conducive for preschoolers to learn and explore that makes all the difference. Now that my daughter is 5, I’m still drawing on the lessons from the Man with the Yellow Hat as I’m constantly bombarded with questions about why anything — nay, everything — happens. The time I take to answer those questions and explain the world to my little one isn’t some test of patience, it’s the most important way for her to learn and she needs me to be there for her. That’s not to say we don’t still have a lot of messes around my house. But now, instead of throwing up my hands and focusing on clean-up, I look at her as though I imagine the Man with the Yellow Hat would look at George after he got lost in the park or spilled flour all over the apartment — with patience, love and the gusto to help guide her through her classroom of life. This post was sponsored by Hulu. All nine seasons of Curious George, as well as the animated film Curious George 2: Follow That Monkey, are now streaming only on Hulu. 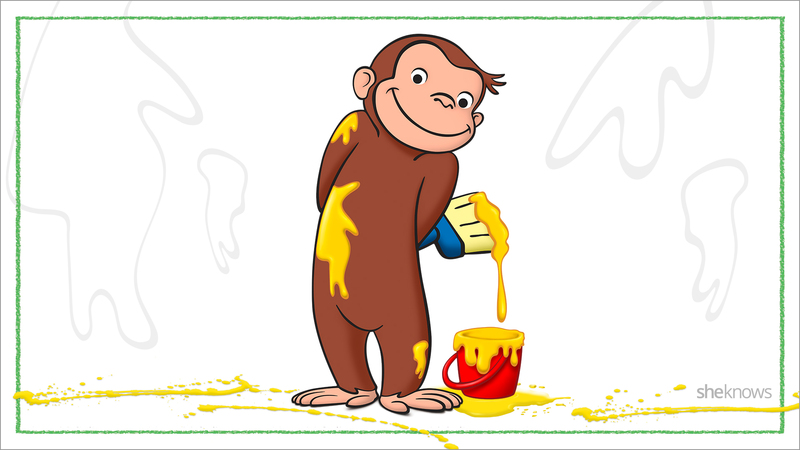 As with all kids’ programming on Hulu, Curious George streams commercial-free.